Hello Everyone! Are you ready for a little fun and a chance to win some cool prizes? That's what this blog hop is all about. Each DT Member from The Perfect Sentiment has a special challenge and prize for you at their personal blogs. You pick and choose the challenges that appeal to you. Play at least four of the challenges and you are eligible to win the grand prize which can be seen at The Perfect Sentiment. 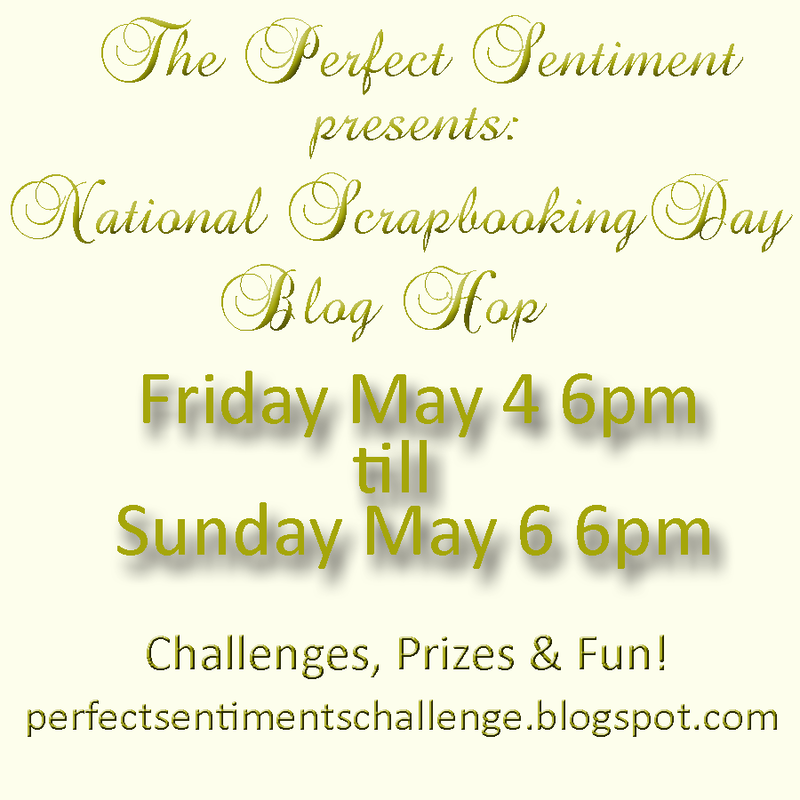 Be sure to leave a comment on the The Perfect Sentiment blog hop post letting us know what four challenges you completed to have a chance at winning the grand prize. Challenge: Create a card with scripture as the sentiment. Twist: let the sentiment be the focus of your card. One lucky random winner will receive three digital stamps of their choice from the collection that is for sale on my blog. For your chance to win simply complete the above challenge and leave me a comment with a link to your creation. Next up in the hop is Abby. Remember if you get lost along the way to return to The Perfect Sentiment. Beautiful Card Jennipher - love that scripture! Love the scripture you used. Your card is beautiful, and I just love the sentiment you used. Hey Jenn, Hope you're enjoying NSD! Here's the link to my card for your challenge. Please scroll down for the card!! Thanks for hosting this challenge within a great blog hop! Your card is just lovely with the beautiful distressing, and I love the little clock in the background. Jenn thank you for the great challeng, love your card. 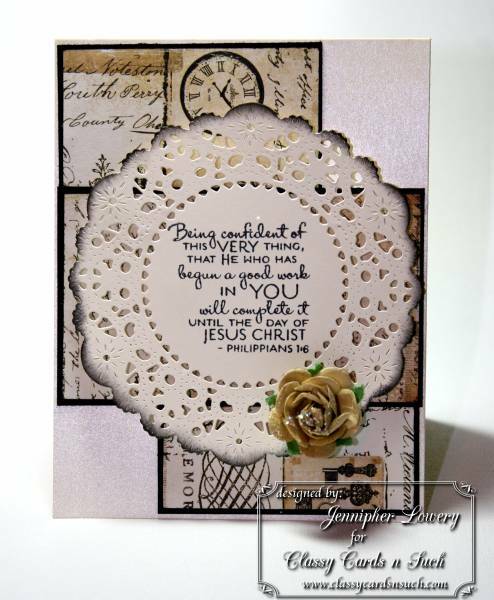 Jennipher, this is lovely and the background behind the doily is fantastic!